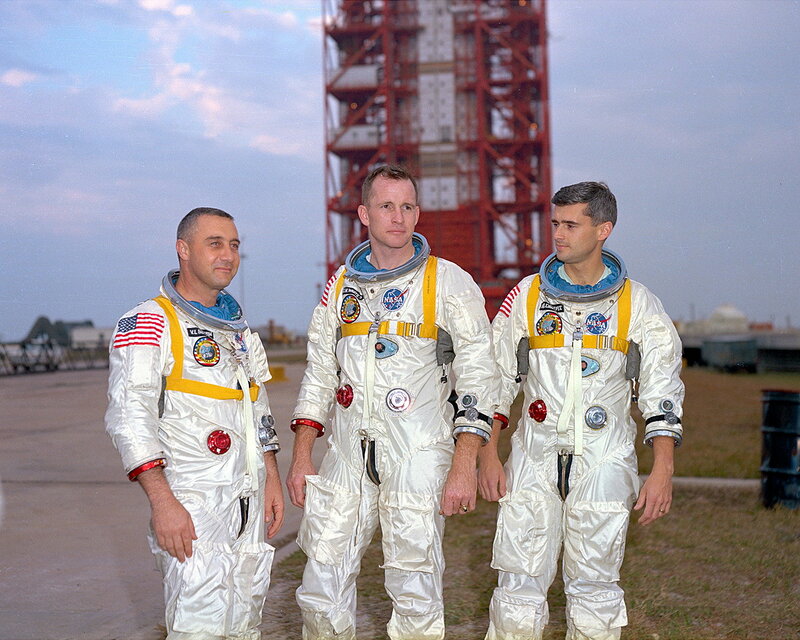 Before its opening ceremony, the staff at Honeysuckle Creek were busy preparing to support the first manned Apollo mission, AS-204, scheduled for a possible launch date of 21 February 1967. AS-204 was to be the first manned test of an Apollo spacecraft in Earth orbit, using a Block I Command Module, lifted into orbit by a Saturn 1B launch vehicle. 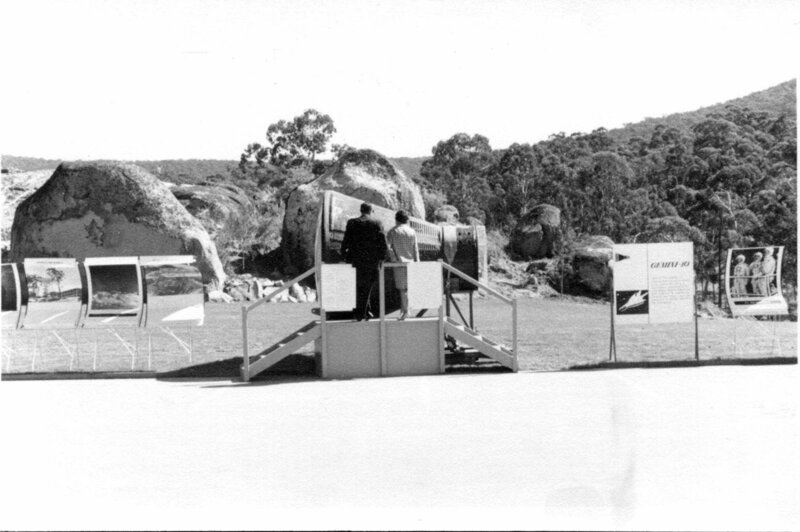 Beginning on 9 January, the Goddard Instrumented Aircraft, NASA 421 (a Lockheed Super Constellation) conducted simulation tests with Honeysuckle Creek. The series of tests concluded on Friday 27 January 1967. 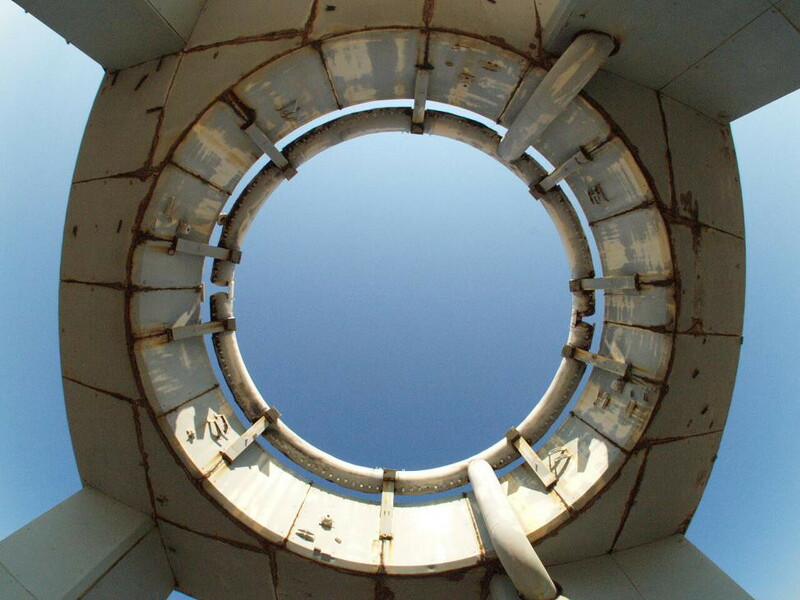 The next morning, Australian time, came the news of the tragic fire in the AS-204 spacecraft on the pad, which had taken the lives of the prime crew, Gus Grissom, Ed White, and Roger Chaffee. 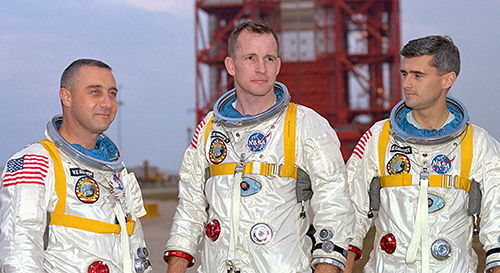 Gus Grissom, Ed White, and Roger Chaffee at Launch Complex 34 on 17 January 1967. NASA photo. 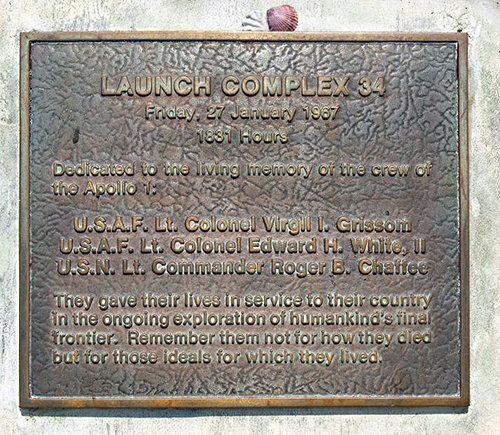 When Honeysuckle Creek was officially opened, on 17 March 1967, the AS-204 accident (AS-204 became known as Apollo 1) was only seven weeks in the past. 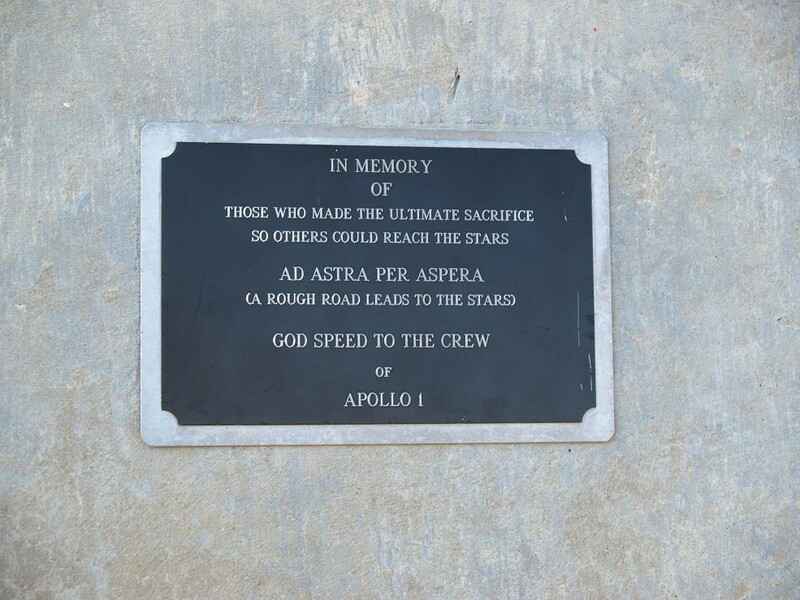 In addition, one of the display panels at the opening ceremony, next to the Gemini X capsule, remembered the Apollo 1 crew. 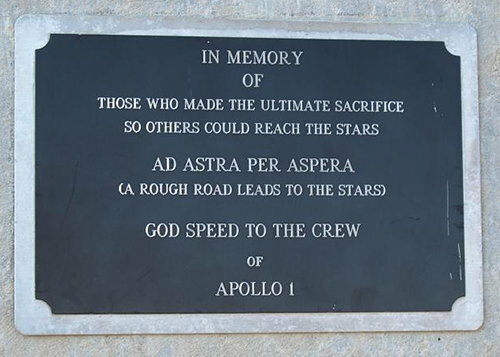 One of the display panels at the Honeyuckle Creek opening ceremony, 17 March 1967, remembers the Apollo 1 crew. The photo on the panel appears to have been taken at North American Aviation’s Downey facility on August 22, 1966. 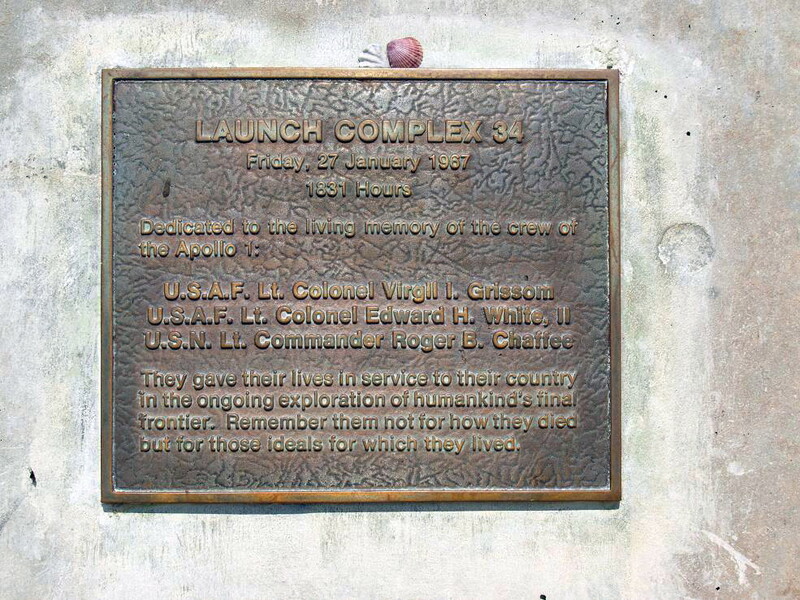 Today, the site of the Apollo 1 fire at Pad 34 at Cape Canaveral Air Force Station Launch, is marked by the plaques below. 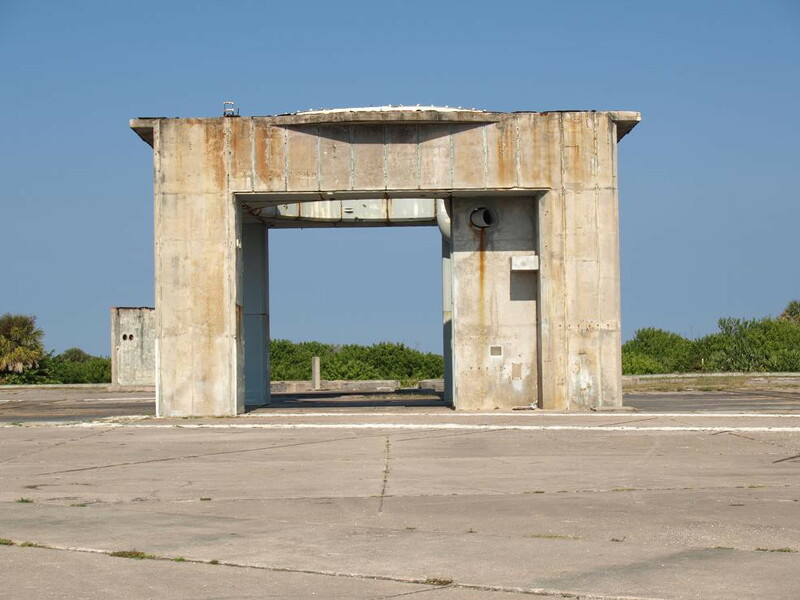 Pad 34 was last used for the first manned Apollo launch, Apollo 7 on 11 October 1968. The remains of Pad 34. October 2010 photo courtesy of Jeff Blair. but for those ideals for which they lived. October 2010 photo by Jeff Blair. A wide angle view, looking up, at Pad 34.